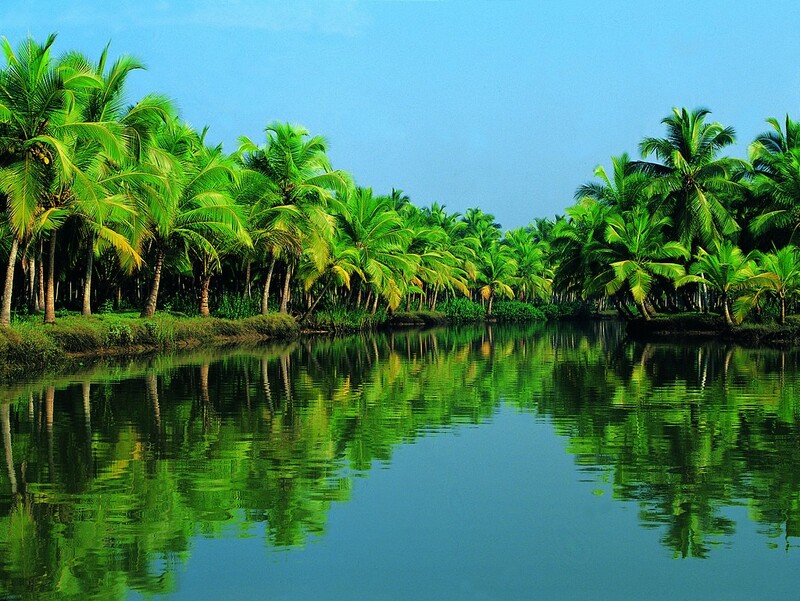 Kerala monikered “Gods Own Country” is a beautiful state in the southwestern region of India. 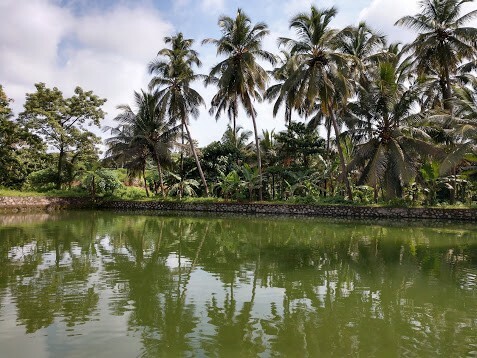 Kerala- which literally means the land of coconuts– is sandwiched between the Arabian ocean on its west and Sahyadri mountain ranges on its east side. The state, counted in the top 10 paradises of the world by National Geographic, is any traveler’s dream destination and offers something special for everyone. It is blessed in bounty by mother nature with pristine backwaters in Alleppey (popularly called Venice of the East), the scenic hill station in Munnar, towering waterfalls in Athirampilli, enticing beaches in Kovalam / Varkala, amazing wildlife in Thekkady and mesmerizing trails in Wayanad. Kerala has also historically been the melting pot for a diverse set of cultures. Europe was introduced to the East when Vasco Da Gama- the explorer landed in the coastal town of Calicut back in 1498. Kerala was also the gateway to India for Islam, when Arab traders frequented the place on the lookout for quality spices. Not surprisingly, the oldest mosque in India, the Cheraman Juma Masjid built back in 629 AD, is housed in Kerala. The earliest Jewish in settlements in India dated 2 millenniums back is traced back to Cochin. This town, which is the commercial capital of Kerala, is also the home of Paradesi synagogue – one of the oldest active synagogues in the world. Gods own country is also an architectural marvel with exquisite temples in the form of Padmanabhaswami temple in Trivandrum, Vadakkumnathan temple in Thrissur and Ettumanoor Mahadeva temple in Kottayam among many others that marks the cultural icons of the state. The culture of the land crescendos in full glory during celebrations such Thrissur Pooram and Boat Festival that marks some of the largest congregation of the crowd in Asia. The place is probably best characterized by its 3 M’s- Malayalees, Movies, and Monsoons. Malayalis- the people of Kerala speaking the language Malayalam( which interestingly is the longest palindrome in the world)- are one of the most jovial, welcoming and enterprising bunch of folks around. There is a popular joke that when Niel Armstrong set his foot on the moon, he found a Malayali selling tea out there !!!! Malayalis, credited with the first to achieve 100% literacy rate in India, are one of the most well-read, politically aware and socially conscious people. Any random person from Kerala can talk about a varying range of topics such as the policies of Obama/Donald Trump, world cup in Russia, trade policies of China and demonetization impact in India with equal dexterity. This commitment to social activism is also widely reflected in its movies that count among the best when it comes to strong story and elegant screenplay. The state, endowed with a legacy of creative scriptwriters, directors, and actors has featured several movies that have found mention in popular International film festivals such as Cannes. Subtlety is possibly the biggest strength of Malayalam movie, creating an indelible impression by leaving more things unsaid and letting viewers chart their own conclusions. And now the Monsoons. Monsoons denote the annual rainfall that Kerala gets between the months of June and September. It is undoubtedly the most romantic time of the year when the pure life and zest of the place meets the warmth of a hot cup of tea. The aroma from the soil when the first drop of rain kisses the barren land and the frogs starting to croak in anticipation is simply out of this world. My best childhood memories have always been about monsoons- reading a book in the verandah(the entrance of a house) concurrently popping some hot savories , building the changadam( makeshift raft made out of the stem of banana tree) taking it to the nearby pond with friends and watching young boys catch tadpoles/ small fishes with their towel. Monsoons are also the lifeline for agriculture in Kerala with the harvesting season in Kuttanadu( known as the rice bowl of Kerala) beginning right after the rains. Alas, who would have thought that the monsoons that symbolize a new beginning in every sense could be the harbinger of death and complete destruction? That is precisely what happened with the floods in Kerala during Aug 2018. The deluge has rendered close to a million people homeless, wiped away their valuables and properties, destroyed crops and brought people’s life to a screeching halt. The severity of the situation could be gauged from the fact that that the last time a massive flood of this scale was reported back in 1924!!! However, the way people of Kerala braved the calamity and risked everything to be of support to their fellowmen in the midst of total annihilation presents an inspirational tale that would be told for generations to come. One of the peculiarities of the monsoons in Kerala is the fact that rains are intermittent. It might pour down heavily for a couple of hours, stop and then resume back again. Rainwater also easily seeps into the soil or merges with river and hence there is very little water logging involved. People of Kerala have always been used to a heavy stint of showers during these months. On an average year, Kerala receives anywhere from 1400–1600 mm of rainfall between June and August. All of the above dynamics changed between Aug 9th – Aug 18th of 2018. There was torrential and uninterrupted downpour during these 9 days. Kerala received a whopping 250% more rain during this time period compared to a regular season!!! Rivers started overflowing and the houses adjacent to river banks began to get flooded. Dams also reached their brim and could not contain water any longer. For the very first time, all the 44 dams in the state had to be opened in a span of a few days. The opening of the dams, in some cases without sufficient warning, accentuated the crisis. Water levels increased dramatically throughout the state and panic set in. Many whom I spoke with reported that overnight water climbed up from the front of their houses all the way up to the 1st floor. People were stranded on the rooftops without a sufficient supply of food and water. Even in this dire situation, it is interesting to note that many people did not end up vacating their houses mainly because they felt safe staying indoors and truly believed that rains would stop and the water would recede. However, the situation had gone completely out of hand this year around. Early rescue efforts began with people lending a hand to their friends and family members. People began to take refuge at their neighbors and relatives place nearby who had houses with taller stories. As hours progressed and the rains poured down unabated, several volunteers started venturing out, risking their very lives to get to remotest areas to evacuate people. It was possibly the moment of realization that nothing mattered any longer and that saving the other being was far more important over self-preservation. No one waited for the administrative machinery to kick in. The fisherman of Kerala- the sons of the sea- deserve a special mention at this juncture. With zero expectations, they ventured out on boats, spent money out of their pockets to reach and rescue people. This act becomes all the more special in light of the fact that these fishermen were still recovering from the cyclone that had devastated their lives a few months back and the recent floods that had engulfed their homes. It is moments such as these that defined the character of people in the face of unprecedented calamity. Realizing the gravity of the situation, the state government quickly got on its feet. The chief minister started sharing updates and flagged red alerts for sensitive areas both through visual and social media. A formalized and coordinated rescue operation was launched with the support of army, navy and coastguard deployments. Stranded people were rescued by boats in most areas and airlifted in those places which were practically unreachable. Close to 100,000 food packets were distributed on a daily basis with many of them getting air dropped. Temporary bridges were built for connectivity and stranded people were relocated to safer locations. 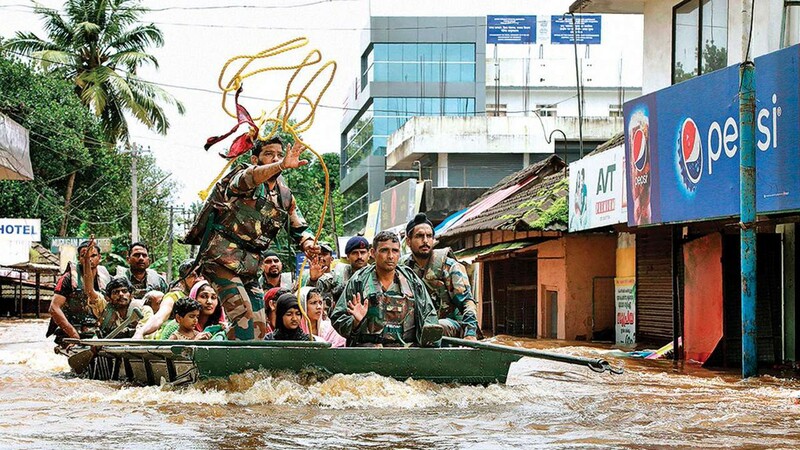 The intensity of the situation and dedication of armed forces were summed up nicely by a tweet from CRPF which read- “Circumstances are not but equations are very simple here — The more you Sweat, the more you Save.” Close to a 900,000 people were relocated over a span of 1 week and safely harbored at schools, stadiums, and auditoriums that doubled up as rescue camps. Social media had gone ballistic with the updates on flood spreading like wildfire. There were several helpline numbers that were shared on Facebook towards the rescue efforts. For the initial two days, these numbers were mostly unreachable with everyone attempting to know about the whereabouts of near and dear ones. With power lost in many places, people who were stranded in floods started conserving their cell phone charge for emergency calls. The photos and videos of the flood went viral with social media practically exploding. 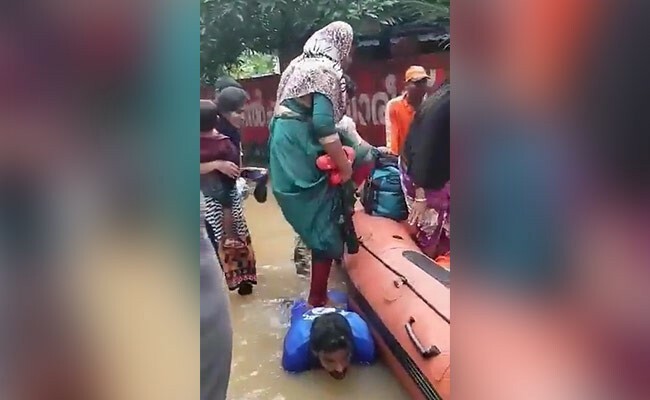 The floods in Kerala became the singular point of focus for anyone and everyone connected to the state. The visual media in Kerala, which for the most part focuses on sensationalizing events with late evening debates, also displayed a refreshing level of maturity toning down theatrics and focussing on factual sensible reporting. Technology played a vital role in disseminating information and propelling rescue, relief and rehabilitation efforts. The fact that Kerala has the highest smartphone penetration among all the states in India ( 65% of the population have a smartphone) made all the difference in the face of this calamity. People who were not affected marked themselves safe on Facebook within a few hours of the floodgates opening up. Whatsapp groups doubled up as platforms for spreading information about critically affected areas and warnings issued by government agencies. Our own family group, which for the most part had been relegated to the propagation of social or political views became fully functional towards a common goal. Chalakudi, my hometown and one of the worst hit of all places, became the focal point of conversation. We identified a list of 12 families who were mutual acquaintances and started tracking their safety. I could make brief contact with one of my cousins in Chalakudi who sought help with getting boats to his house to rescue his family comprising of aged parents. My brother and several of our relatives made frantic effort to contact Navy control room for urgent help. It was a huge relief when, after a nervous wait for 48 hours, we got the confirmation that they have been safely rescued. From there on, we were also able to track down all of the remaining 11 families who were moved to safer locations. There is a fresh breeze of camaraderie in our family group after this incident with the realization that we are all here to support one another in an hour of need. The true unlock of technology when a natural disaster to the scale of 10 mn impacted people strikes, is when it operates at scale. This is precisely what happened with this fascinating, blitzkrieg technology intervention https://keralarescue.in. This was a site that was stood up in a very short time at the behest of Kerala government. The objective of the site was to lend immediate help with rescue efforts and eventually add features towards relief and rehabilitation. This site was the result of the collaboration of several technology professionals across the globe, all operating in real time to identify, build, test and deploy features. One of my close friends who was an active member of the group invited me to join the initiative. At the time that I joined, which was 3 days after the flood hit, there were close to 1000 tech professionals who were part of the initiative. The exchange of the ideas was happening real time over slack with several channels set up towards different facets of the initiative such as devops, rescue requests, announcement, chat support and testing. The pace was breathtaking and the enthusiasm of each and every one to make a difference was infectious. This site had become one of the primary destinations for affected people or their acquaintances to log requests seeking help. As of the last count a week back, keralarescue.in had a whopping 15.3 M page requests with 1.3 M Unique visitors and close to 2K members on slack, a tall testimony to the power of technology in bringing people together and affecting massive change. As a volunteer, one of the primary task involved was to verify the requests logged in the site and contact authorities to dispatch help where required. The hours spent as a volunteer coordinating these efforts has undoubtedly been one of the most overwhelming moments of my life. I wore the hat of a call center agent – tracking down the tickets, calling random people who needed help, assessing the specifics of the situation and contacting the rescue team on the ground with details. One of the first calls that I made was to a man named Soman in Chengannur. On learning that I was one of the volunteers, he shared the fact that his sister aged 57, her daughter aged 26 and a 7-month- old infant had been stranded at a remote location. The last he contacted them, which was 3 days back when the floods had started, all of them had moved over to their neighbor’s house. The deluge had been so severe that the entire place 2 miles of the radius of the house had been fully submerged in water. They could only be rescued by the helicopter. He was desperate that there were no updates of their whereabouts. The fact that all the gas stations had also run out made it difficult for him to commute and check on their updates. To sit on the other end of the phone several miles away in the United States, listening to this heartbreaking experience of a man who was unsure if his kin were alive or not, sank my heart. I immediately contacted the local rescue center who promised to dispatch help at the earliest. From there on, I would have made close to 40 calls, checking on people’s whereabouts. Each phone call oscillated between a big sigh of relief realizing that people were safe or nail-biting moments of the sad plight of folks like Soman who needed help right then and there. No matter what the situation is, people were relieved to hear that there were several thousand volunteers out there who cared for them in a deep and personal manner at this juncture. These calls also helped me get a first-hand account of the breadth of the disaster. Most of the people whom I spoke to were from Chengannur, Chalakudi, and Pathanamthitta which were the worst hit places. Residents gave a vivid account of the cruel game that nature had played on them with their houses, documents, and belongings swept away overnight. It would take several months for them to have a semblance of normalcy restored in their lives. This calamity could have claimed many more lives but for the character of the people who displayed steely resolve. It was heartwarming to receive Whatsapp messages from people whom I had spoken to indicating that their relatives were safe. Much to the relief, almost a week later, I also received the update from Soman that his family had been safely rescued. Government machinery, volunteers and many in India/ abroad have been working round the clock to aid people who have been affected. Good Samaritans have opened up their homes to complete strangers. Roadsides have doubled up as food trucks or kitchens to supply food to people housed in rehabilitation camps. 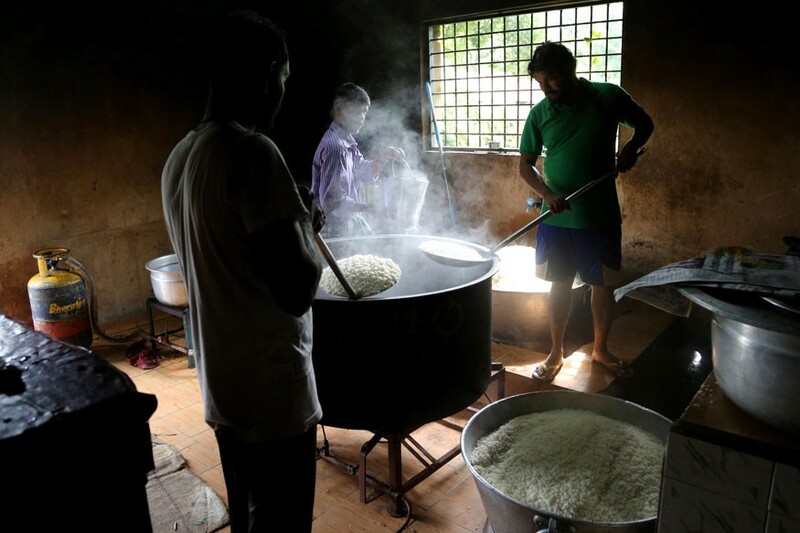 There have been massive collection drives across many cities all around the world to send across food, clothing, and medicines to Kerala. Amazon has partnered with several NGO’s towards which people can purchase necessary items, that in turn would be delivered to relief camps. Financial assistance has also been pouring in generously from corporates as well as individuals towards Chief Ministers relief fund. 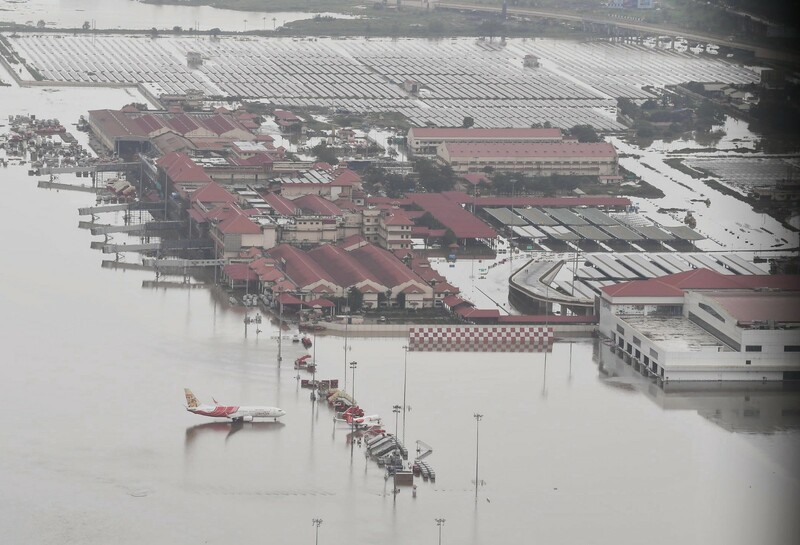 Novel initiatives have been launched in the form of compassionatekeralam.org that enables one to adopt a family in Kerala and help them on the path to recovery. Several of my batch mates have been actively involved in supporting an NGO named Asadeepam that provides special education and vocational training for differently-abled kids. The festival of Onam that is celebrated in Kerala during the month of August symbolizes joy and prosperity. This year Onam that passed by in the backdrop of the biggest calamity in the last 100 years, paradoxically lived up to the true purpose of any festival — which is to harmonize one and all. The celebrations were muted and the money which would otherwise have been spent on new clothes and food were utilized towards relief efforts. With water receding, people in the relief camps have slowly started returning back. However, the scenes back home are devastating. Most of the belongings have either been washed away or completely damaged. The house is nothing but a pool of brown mud. In many cases, people have also found unexpected guests in the form of snakes and even crocodiles who have found refuge in their homes !!! There would be huge financial overheads incurred to make the necessary repairs. All the documents including passport, education certificates, and government-issued identities have been washed away. All in a moment, people have been brought down to their knees, their dreams shattered and lives in shambles. There is however hope. And hope is all they have to latch on to in these unusually difficult times. If there is one bright spot in the midst of all these ruins, it has been the fact that the humanity has been reignited. People have forgotten all the artificial barriers in the form of caste, creed, gender and political differences and have worked as a collective force towards a singular purpose. Even if for a brief moment, the futility of human pursuits have come to the fore and the realization has dawned that life finds its true purpose only in each other. We pause at this point with the picture of a man who is lending himself as a bridge for people to get to safety. As long as those shoulders are there to support fellowmen, be rest assured that nothing and absolutely nothing in this world can shake the foundation of the undying human spirit.